WCS 2014 has finally ended with Life being crowned the 2014 world champion. I can still feel the post-Blizzcon effects. There is so much to talk about the grand final. 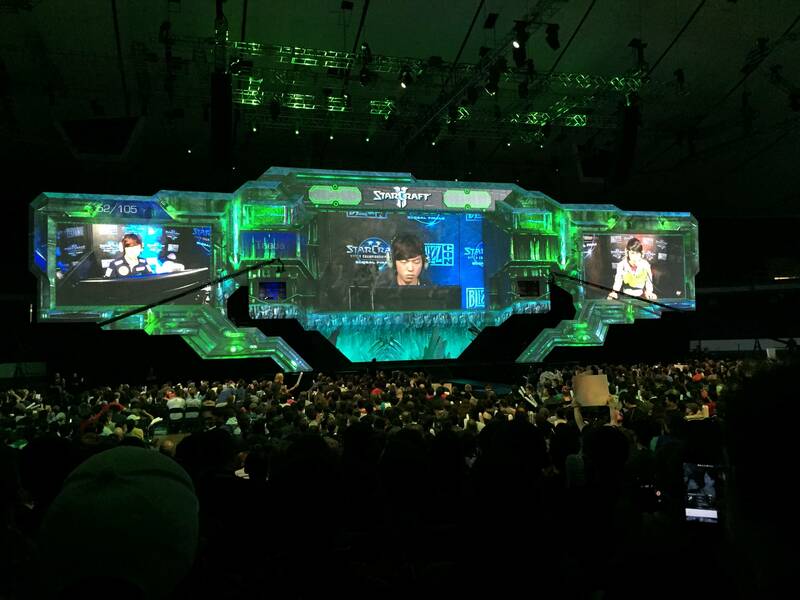 There was a bit of drama prior to the actual event due to the selection of the casters and hosts for Blizzcon. 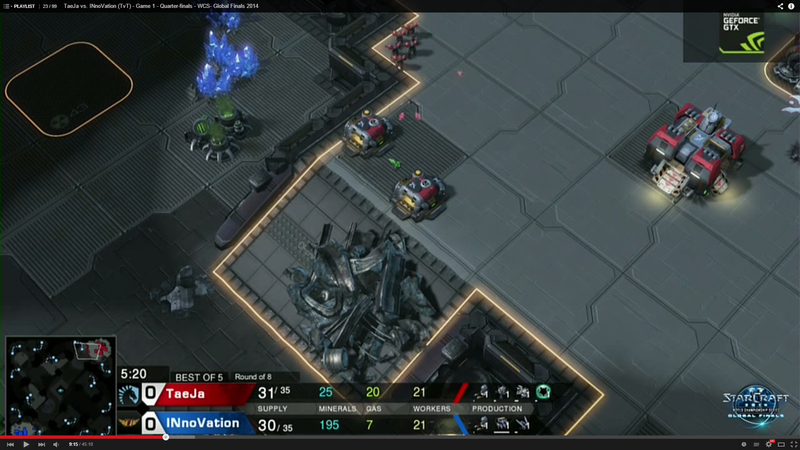 iNcontroL was notably missing. I feel for him, but the panel was still of top quality. The idea to invite the players who had already got knocked out to panel to provide a different dimension of expertise was a really nice touch. 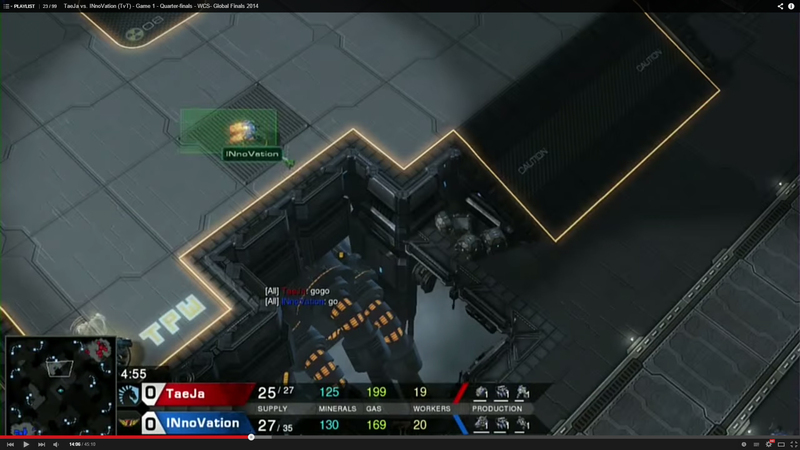 To hear TaeJa talks about Artosis curse right there between games of the grand final is priceless. Since you’ve the casters/experts who play specific races (e.g., ToD plays Protoss), I would like them to be part of the casting team when their race is played. They can provide relevant information to the audience. This is something that can be improved. I actually thought that this was one of the main reasons for mOOnGLaDe (former Zerg pro) to be picked as he could provide a balance to the Protoss and Terran oriented casters/experts. The stage was awesome. I was very impressed. The use of projectors to create different overlays for each race and map was brilliantly done. I am quite satisfied with the quality overall. Quite often the quality of the games does not live up to the hype of a tournament. Given that this is the most prestigious Starcraft tournament of the year, I really hope that the games can go down in the history as some of the greatest games. The players delivered. If there is anything negative to say about the event, it has to be the technical issue with the internet. There are quite a number of times that a player suddenly got dropped/disconnected in the game (example: herO vs. Classic game 5). 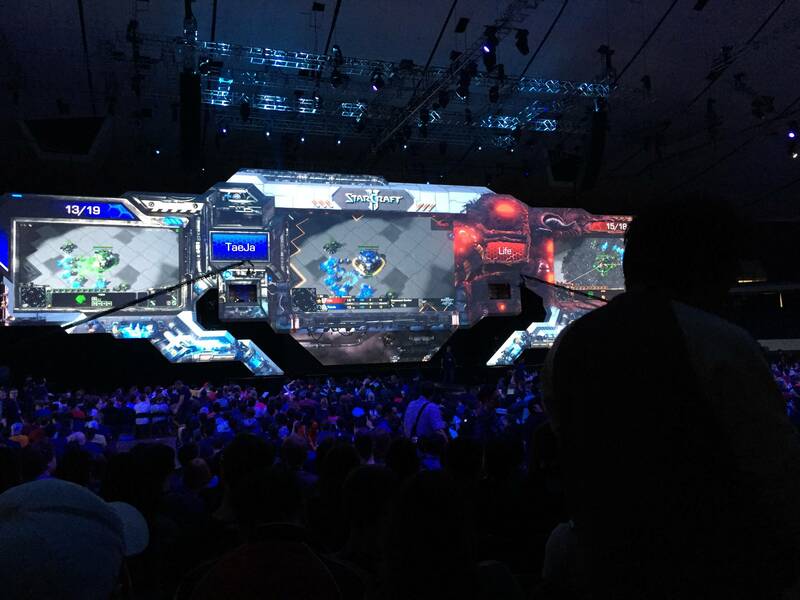 If there is something more frustrating than watching the WCS Global Final at Blizzcon with countless pause and disconnect, it has to be playing it. I can’t imagine how frustrated the players were. While many had made their frustration heard on reddit, it does not seem like there is a solution for the problem. We want to take a moment to talk to some of the issues that went on with the StarCraft II World Championship Series today. We apologize for the viewing experience and delays to the show. We ran into several different issues, including player hardware issues and a major power outage that had lingering repercussions throughout the broadcast. For the WCS Global Finals, both this year and last, we set up onsite servers that allow StarCraft II to be played locally. This is equivalent to a LAN configuration. Despite our precautions we still ran into problems today which would not have been solved by having LAN support directly in the game. Tomorrow we have another day of the 2014 World Championship Series Global Finals and we are committed to working through the night in order to provide the best experience possible. I don’t want to be critical of Blizzard regarding this, because I believe they are the last one who want this to happen. With that being said, it is a shame that this frustrating viewer experience was being broadcast on ESPN. The constant unwanted interruption did not showcase the best side of the main stream eSports to the general public audience. It was an opportunity missed. 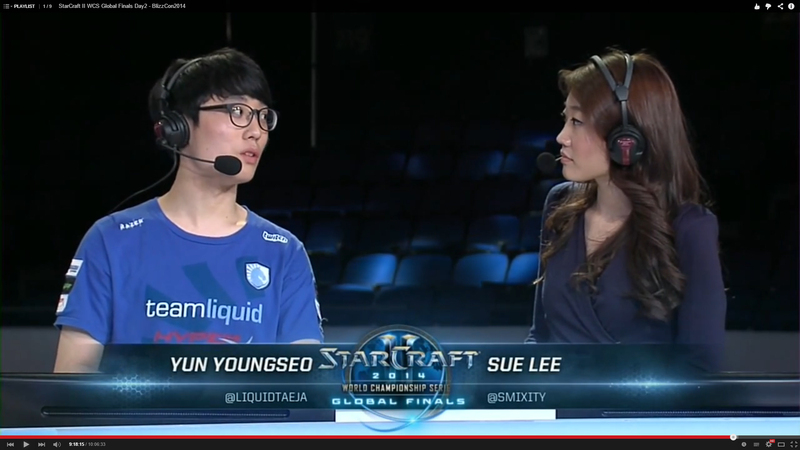 I would be surprised if an audience, who has no prior Starcraft experience, did not switch channel. Even I switched channel! I was watching the Hearthstone tournament on another window. The Hearthstone community should thank us for pushing the viewership number for the final.Incidentally, the Starcraft stream recovered once the Hearthstone tournament was concluded. Well executed timing attack right there! Joke a side, I was upset about how this technical issue affected the actual quality of the games, and possibly the results too. For example, herO vs. Classic. The interruption gave Classic some time to calm down after herO took two quick games from him and left him at the blink brink of elimination. Classic admitted that he was at a state of panic when he was 2-0 down. To make it worse, herO was dropped at a time when he was in a critical blink Stalkers battle. herO had to blink everything back right after the resume, which probably wouldn’t have happened if the battle was not interrupted. Sure, this is not strong enough of a justification to say that Classic made a come back because of the interruption. 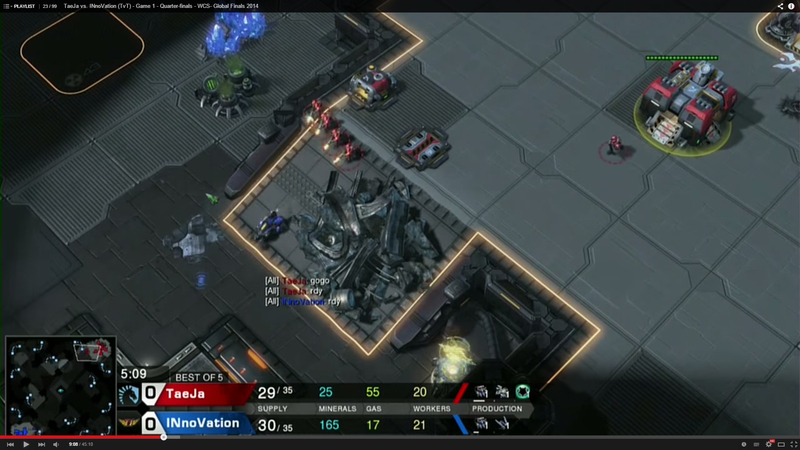 How about INnoVation vs. Taeja on Nimbus? None of these builds’ key attack timing hits right at the time of the first Hellion, so no immediate action is required from the defender (Taeja). 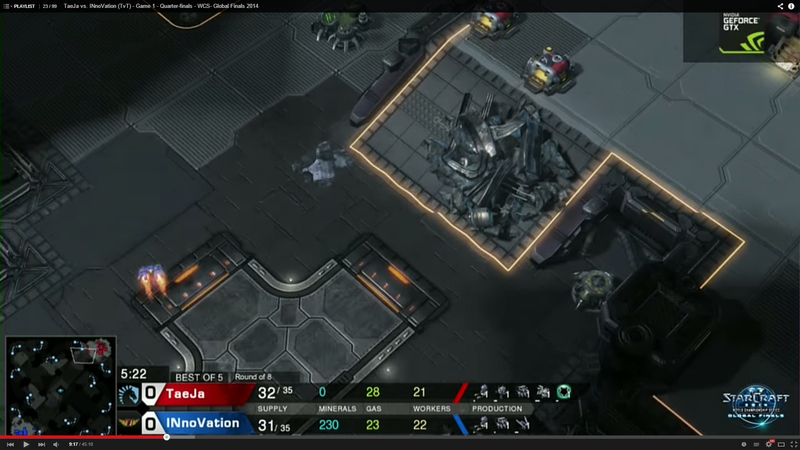 However, if INnoVation was doing the Reaper build, which he did, the Reaper would try to sneak into the Taeja’s base at the time of the first Hellion. See the images below and pay attention at the in-game time. 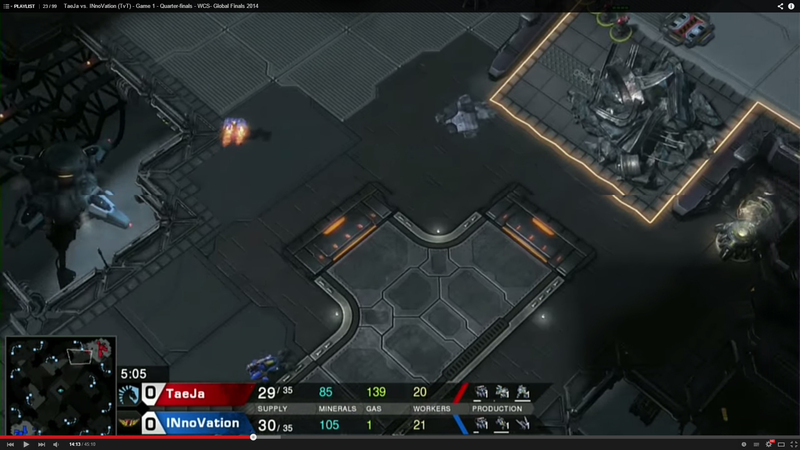 If the game was not interrupted, the Reaper would not be able to scout Taeja’s main because of the position of the Marines. The problem was the resume timing after that, as it changed everything. 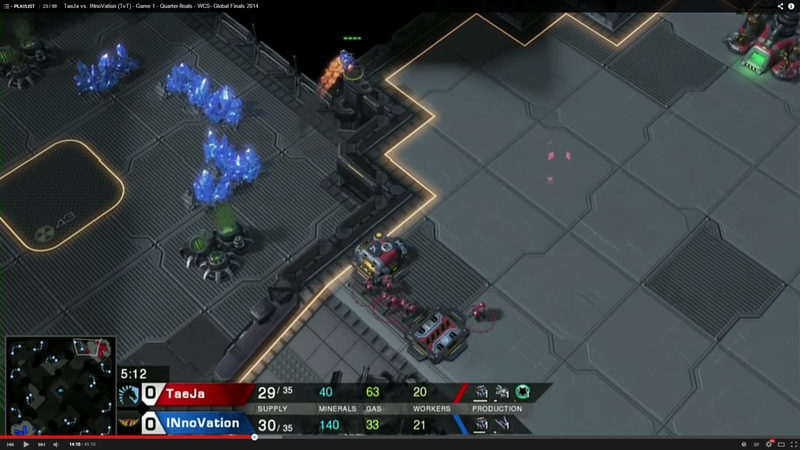 INnoVation did not move his Hellion to the ramp this time, and sent his Reaper to the edge straight away. 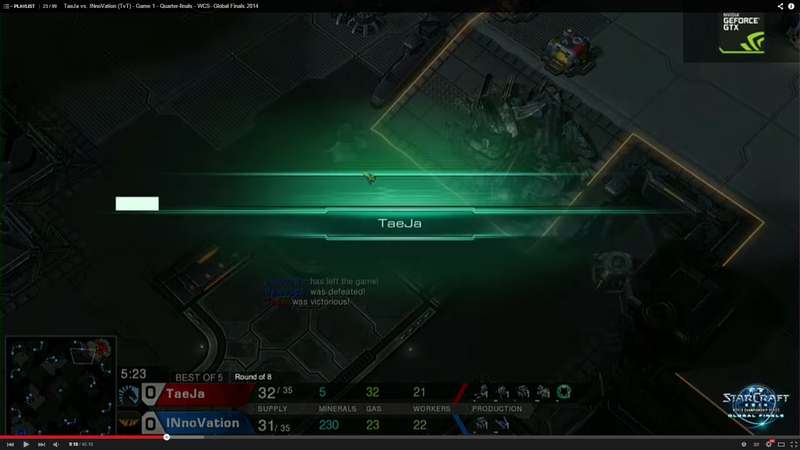 This was because he knew Taeja’s Marines were at the ramp before the disconnection. Now tell me, did the technical issue affect the game quality? Some players benefited more than others from this problem. I was quite mad when I saw that live. Overwatch, a new FPS game with a new Blizzard universe, was announced. I would definitely give it a go, although my average Call-of-Duty Kill/Death ratio was 1/4. 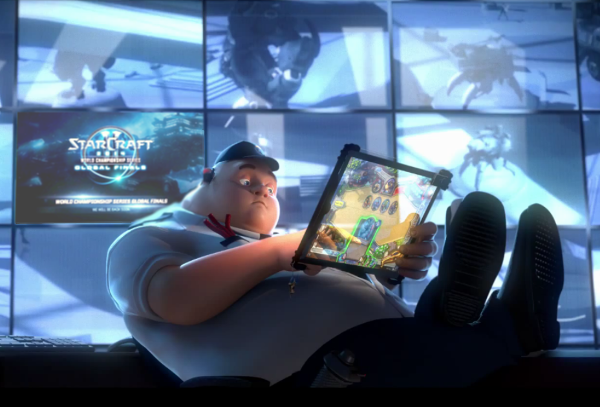 If Blizzard manage to succeed in the moba (Heroes of the Storm) and FPS (Overwatch) genre, they will dominate the gaming industry since they are the leader in, oTCG (Hearthstone), RTS (Starcraft) and MMORPG (WoW and Diablo). Also, hopefully, the Warcraft movie will not disappoint. I appreciate Blizzard’s effort to make a stand against GamerGate (although it was not directly referred to). With Blizzard’s influence in the gaming industry and community, this gesture is welcomed and needed. Great power comes with great responsibility. I want to talk about the LotV changes on the next post. This post is mainly about the event itself.